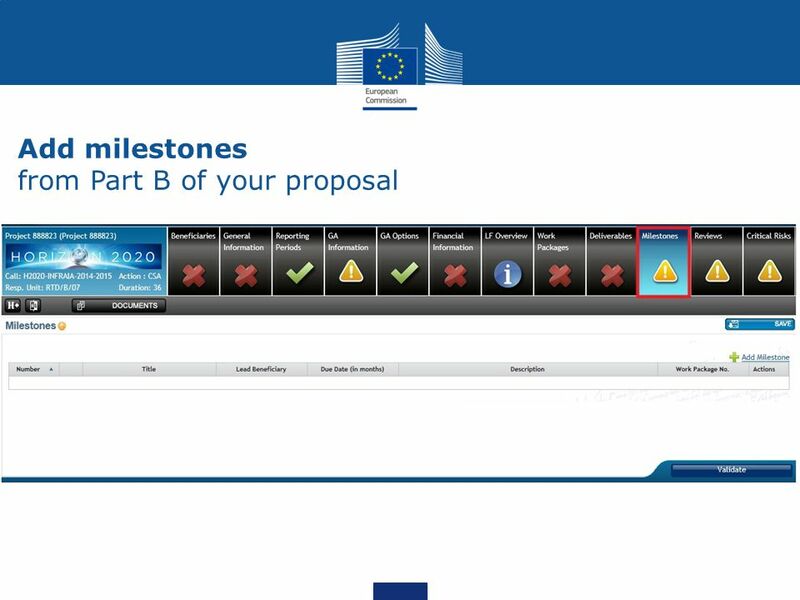 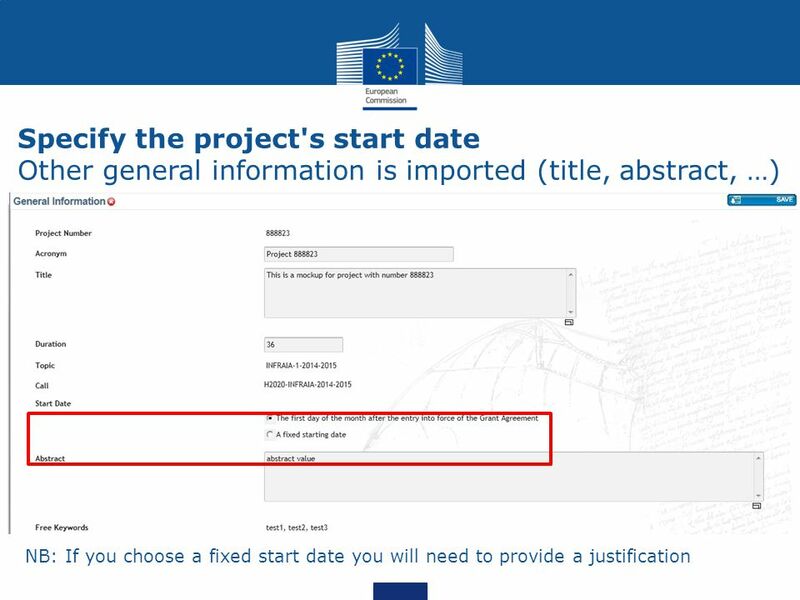 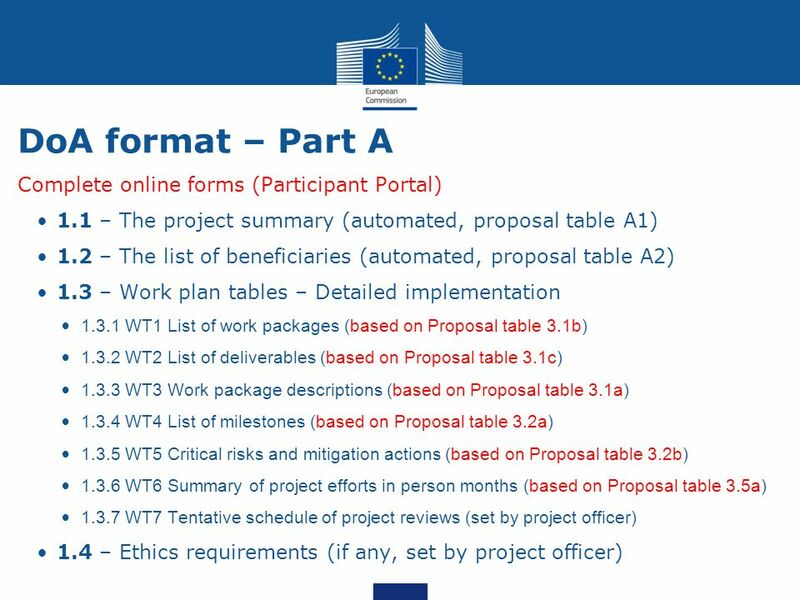 is a detailed description of how the project will be carried out follows the structure of the proposal, also comprising Parts A & B Part A is partially pre-filled with proposal data. 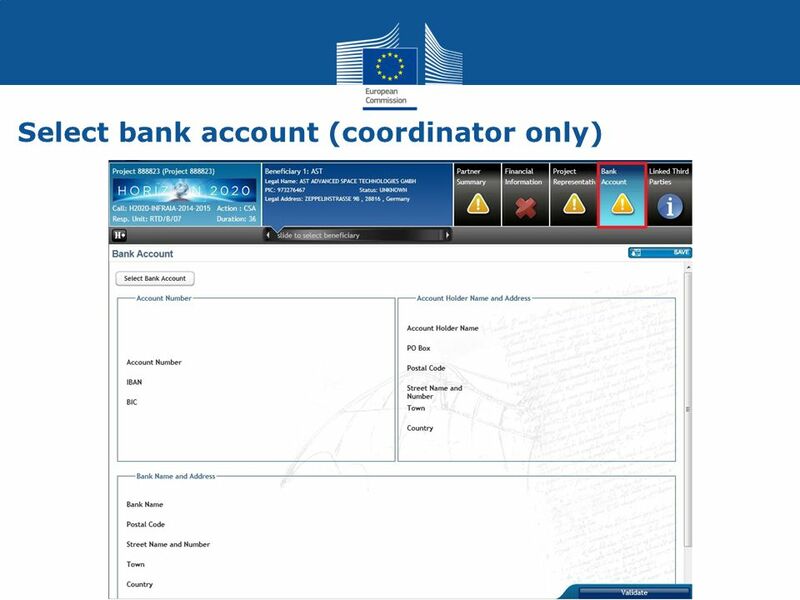 The remaining information is entered through online forms. 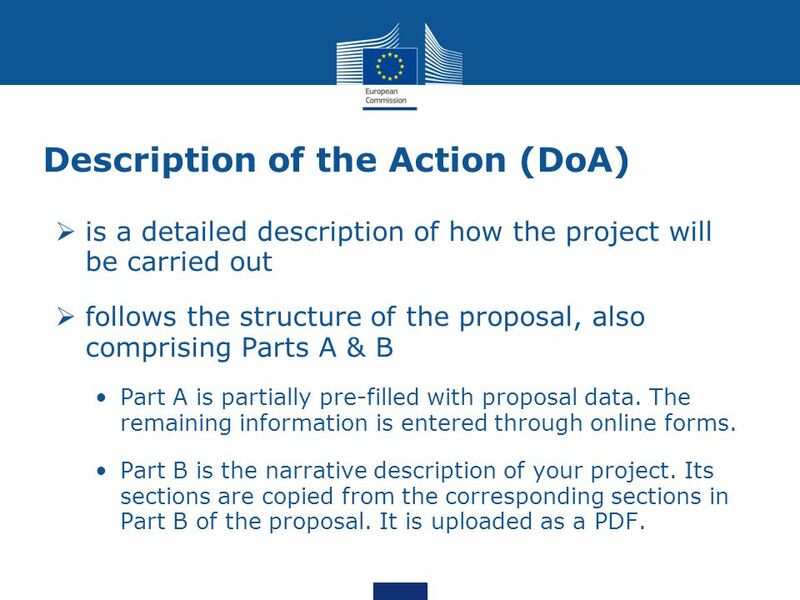 Part B is the narrative description of your project. 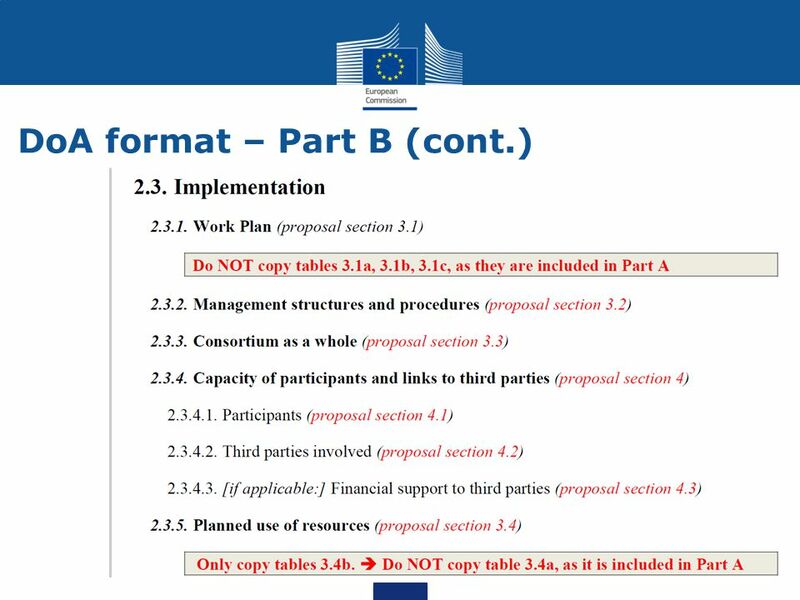 Its sections are copied from the corresponding sections in Part B of the proposal. 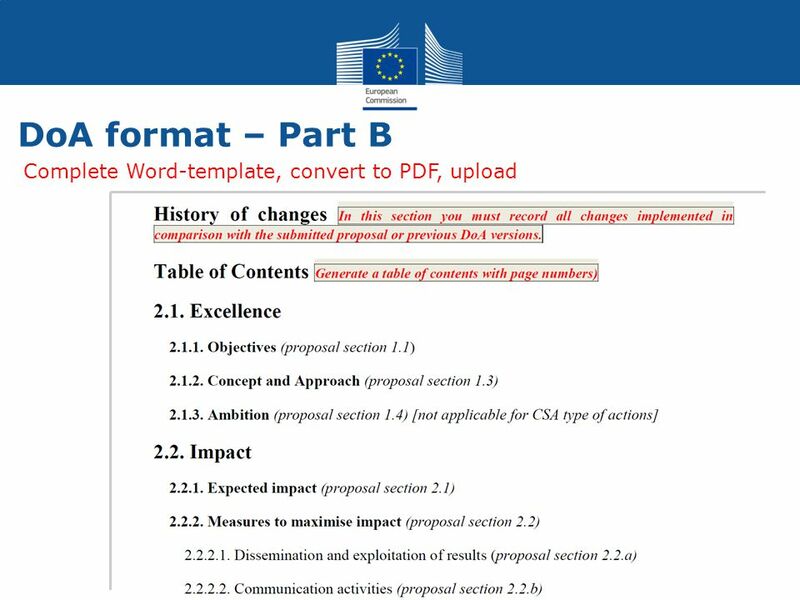 It is uploaded as a PDF. 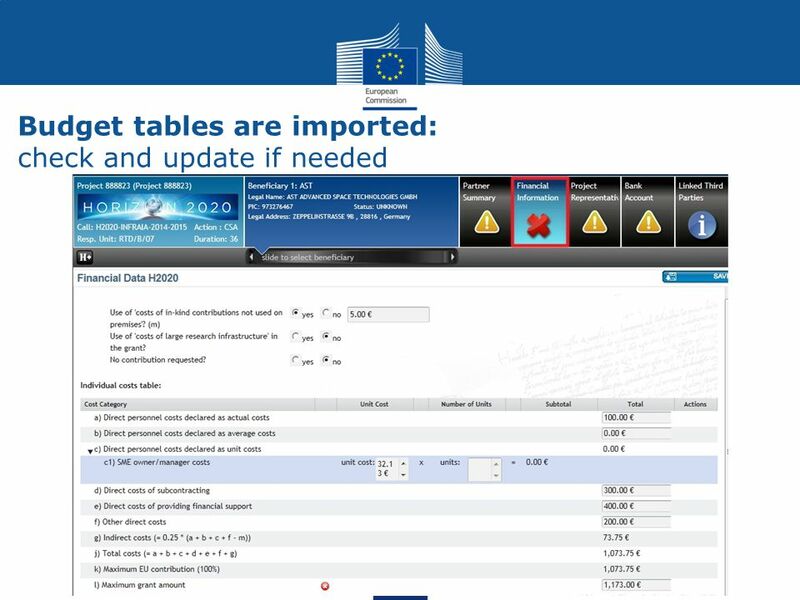 The narrative part of the DoA is a copy from the narrative part of the proposal (this helps to reach TTG), with the exception of some tables (check next slide). 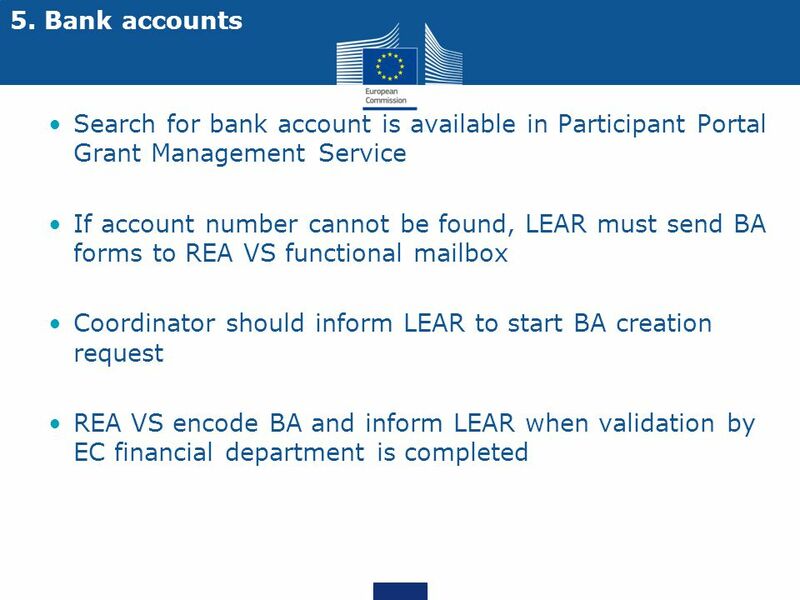 NB: Linked 3rd parties need to register and are validated like beneficiaries. 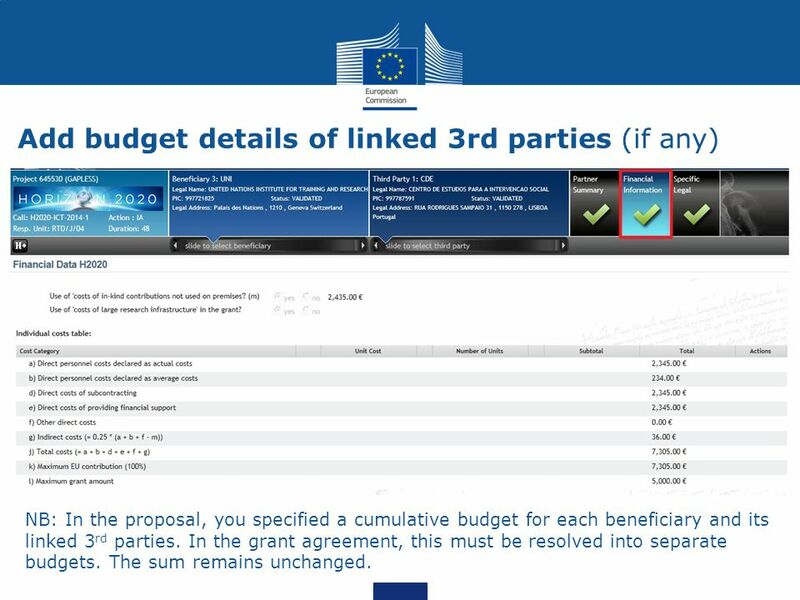 NB: In the proposal, you specified a cumulative budget for each beneficiary and its linked 3rd parties. 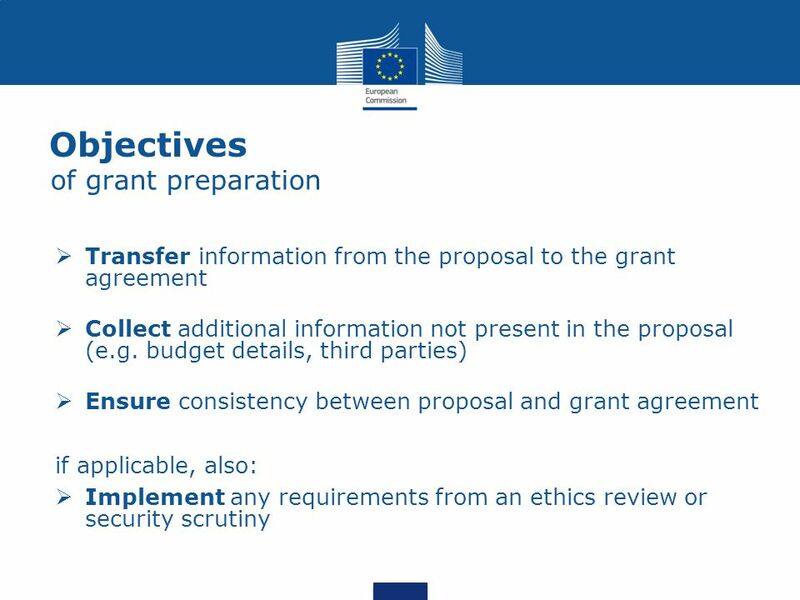 In the grant agreement, this must be resolved into separate budgets. 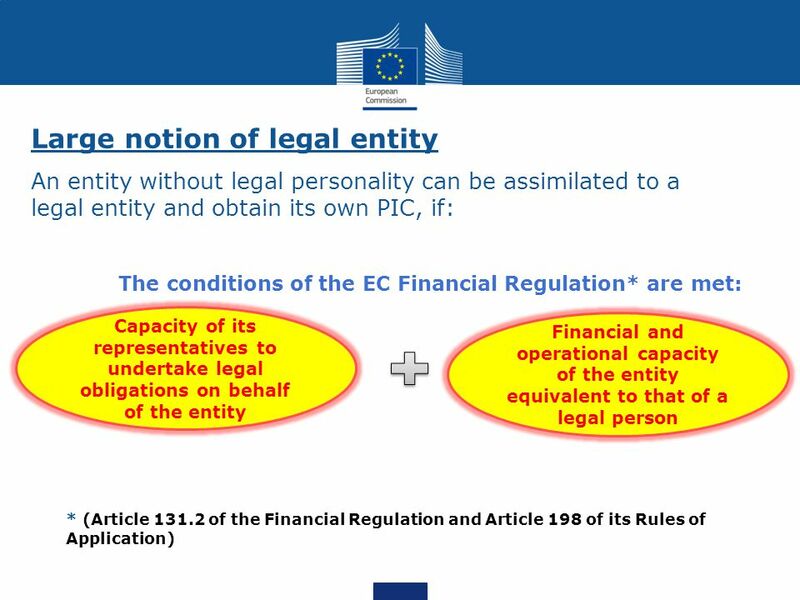 The sum remains unchanged. 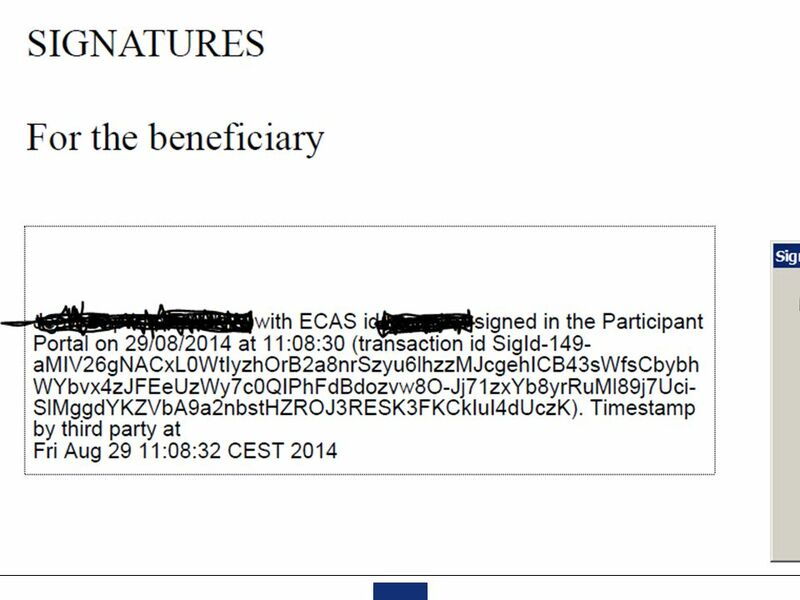 (Before GA signature, each beneficiary must sign declaration on non-exclusion – same signature process as described below) COM prepares GA: pdf document, digitally sealed, made available in the PP. 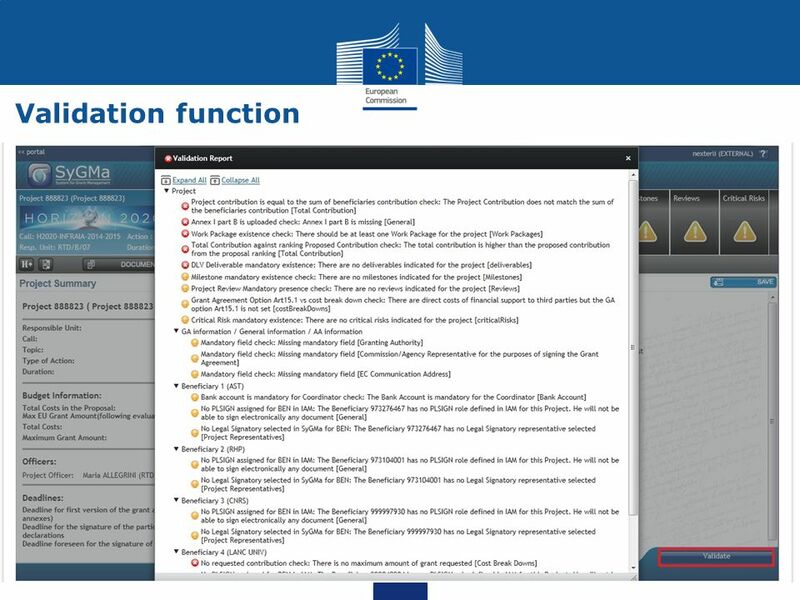 PLSIGN of the coordinator is notified. 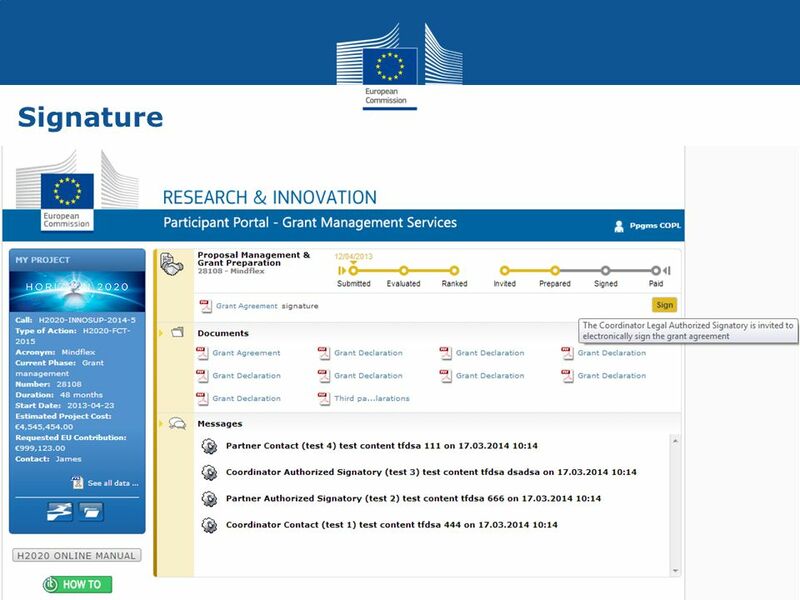 PLSIGN of the coordinator logs in, selects project with "MP-Manage Project" action button, finds GA for signature (with possibility to download and print). 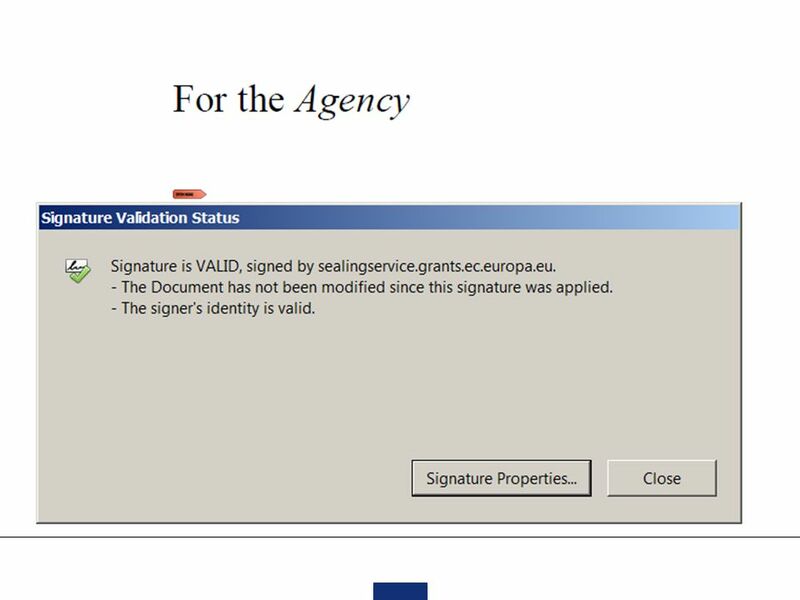 PLSIGN clicks for initiating electronic signature. 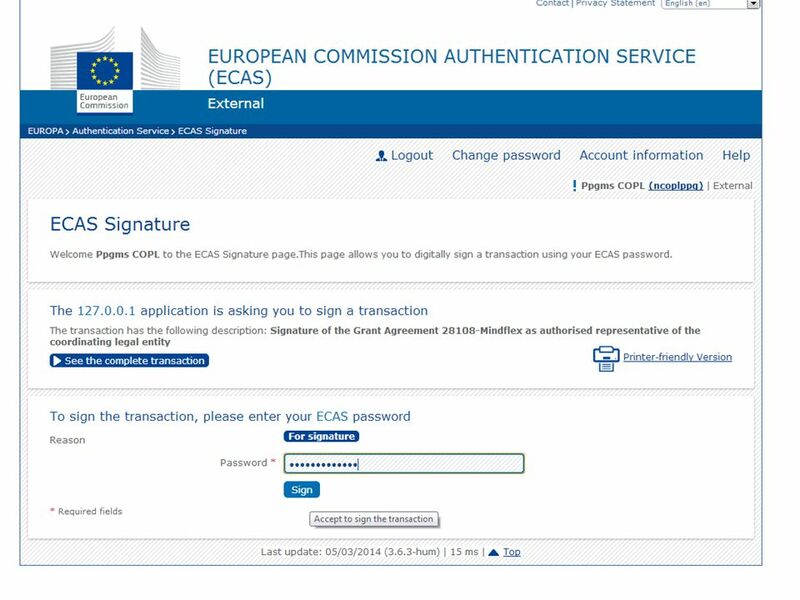 Pop-up alerts on the signification of this action and asks for confirmation, prompting again for the ECAS password. 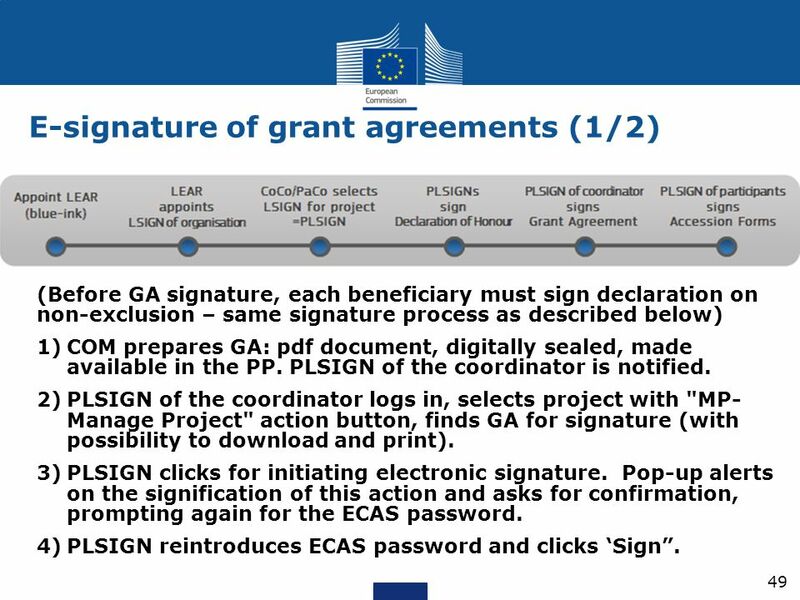 PLSIGN reintroduces ECAS password and clicks ‘Sign”. 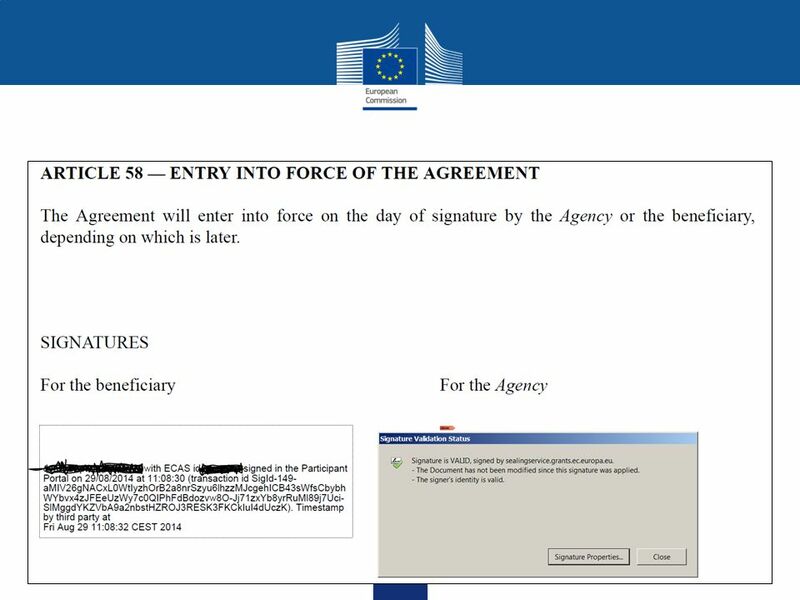 System creates new version of the pdf, addingthird party digital seal, ECAS credentials of the signatory, timestamp; visually replacing the placeholder for the signature by the coordinator. 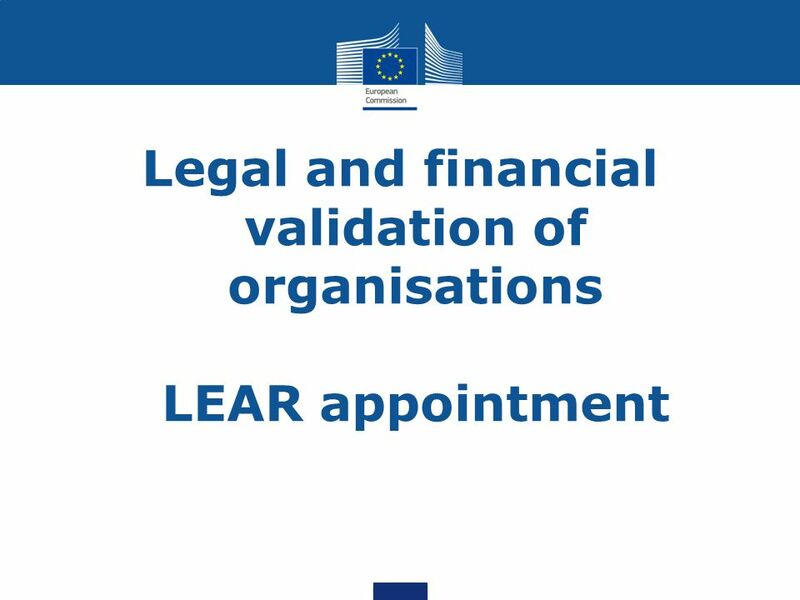 LEAR of the coordinator and other relevant actors are notified COM authorising officer is notified that GA was signed by the coordinator. 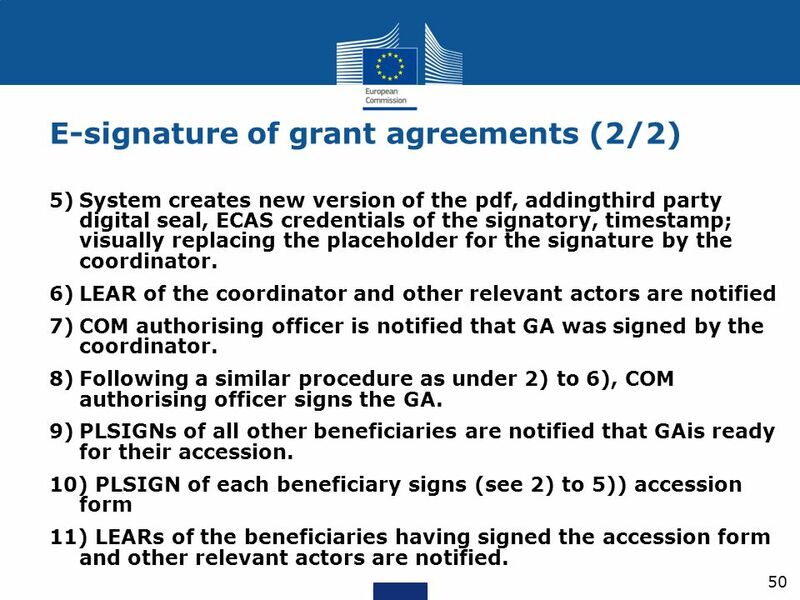 Following a similar procedure as under 2) to 6), COM authorising officer signs the GA. PLSIGNs of all other beneficiaries are notified that GAis ready for their accession. 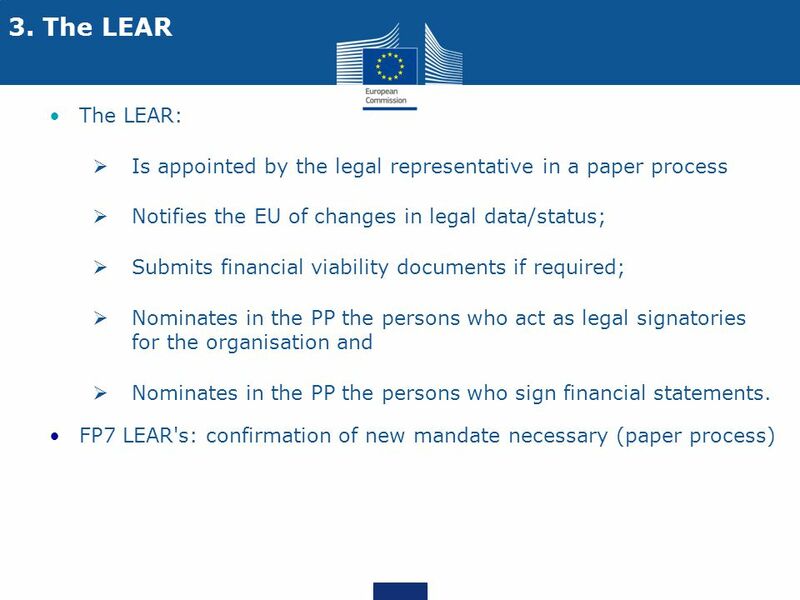 PLSIGN of each beneficiary signs (see 2) to 5)) accession form LEARs of the beneficiaries having signed the accession form and other relevant actors are notified. 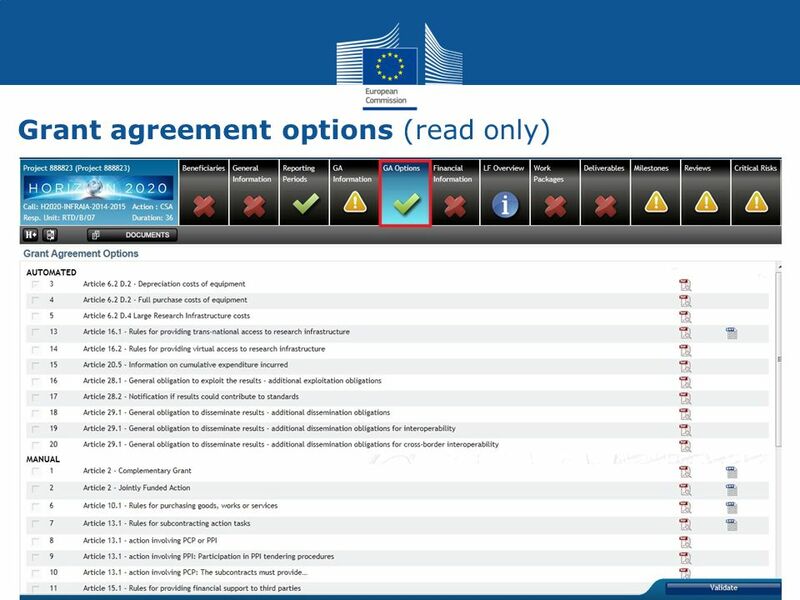 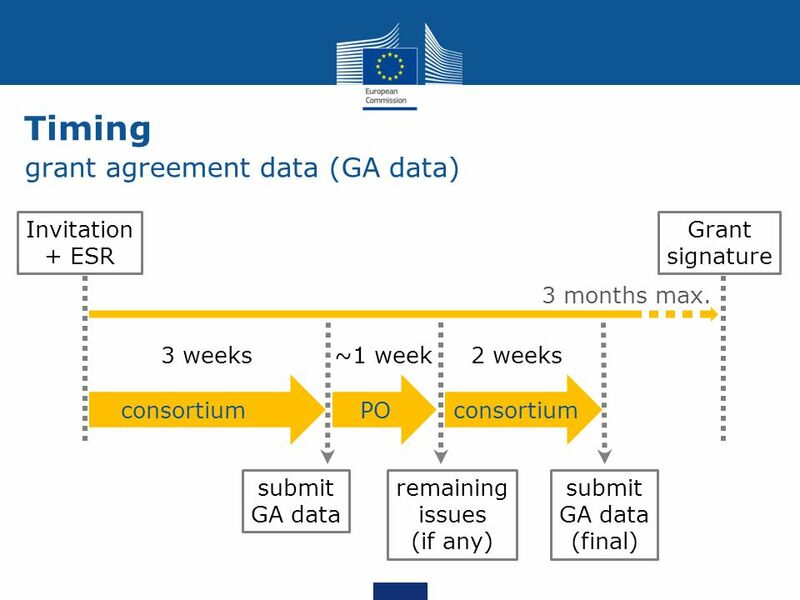 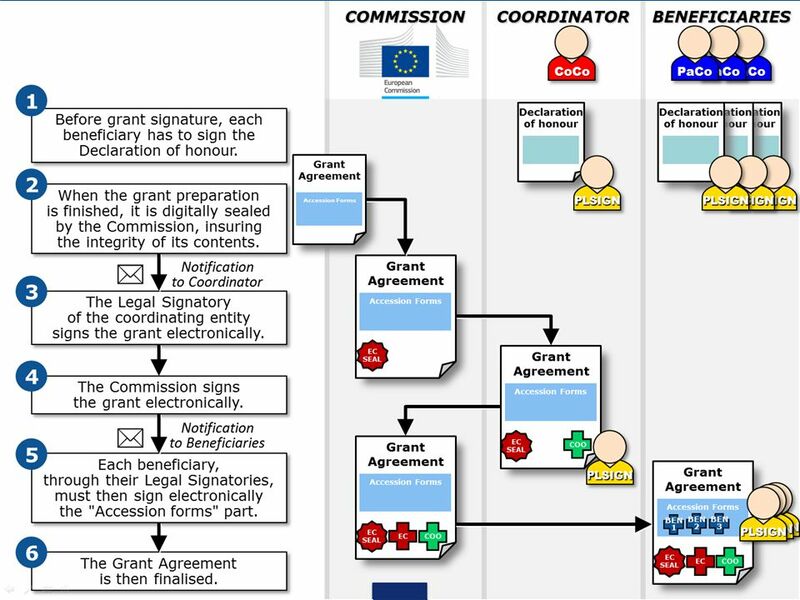 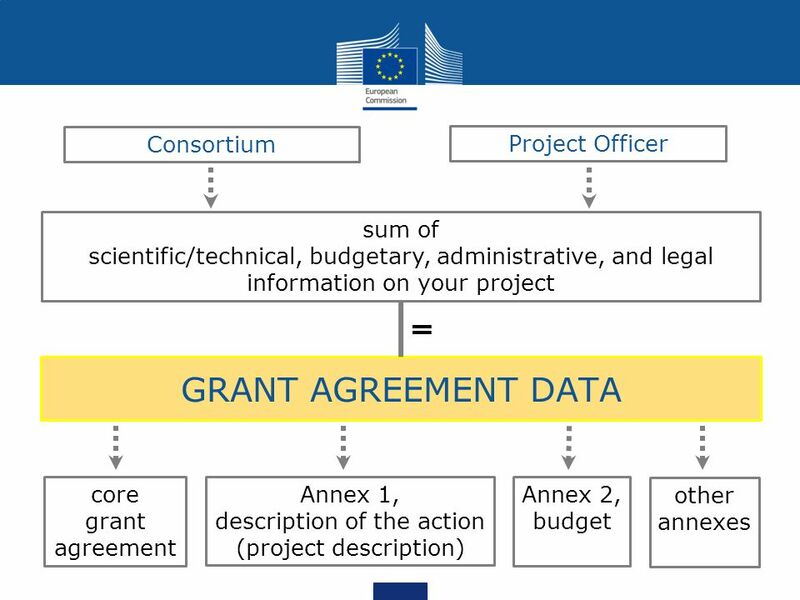 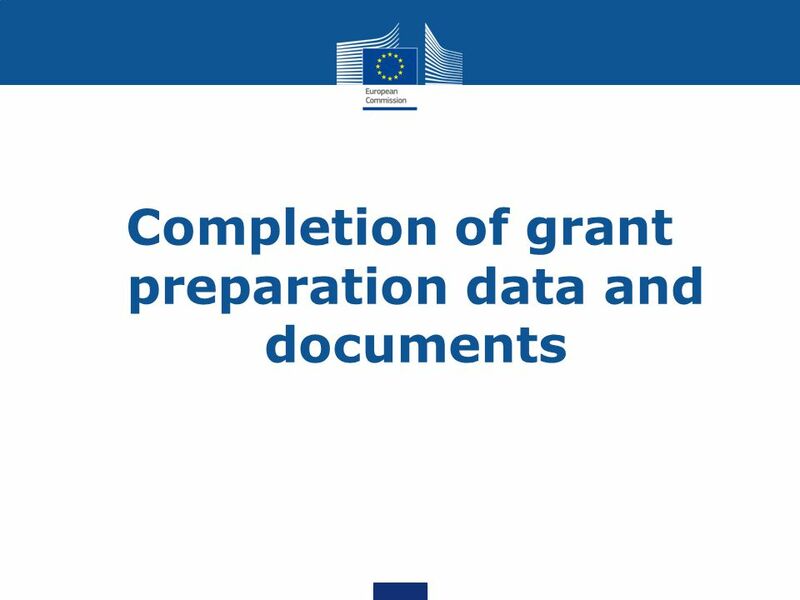 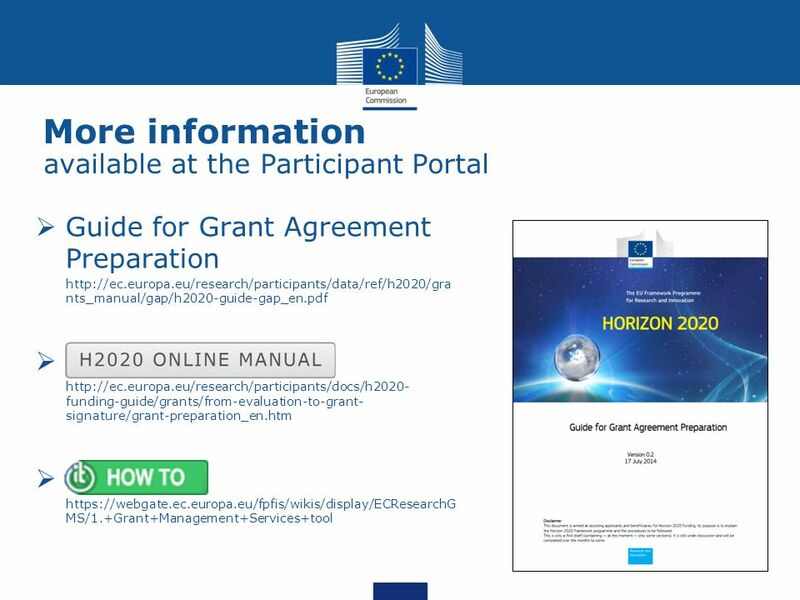 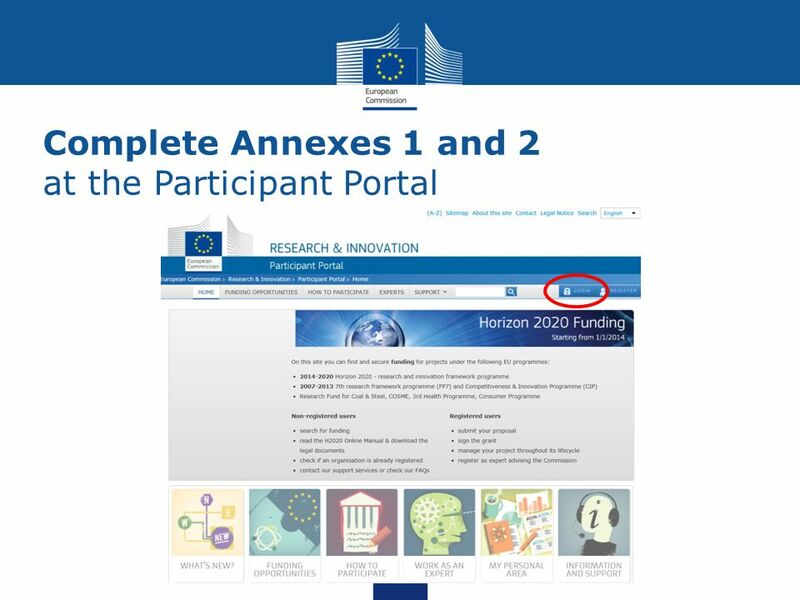 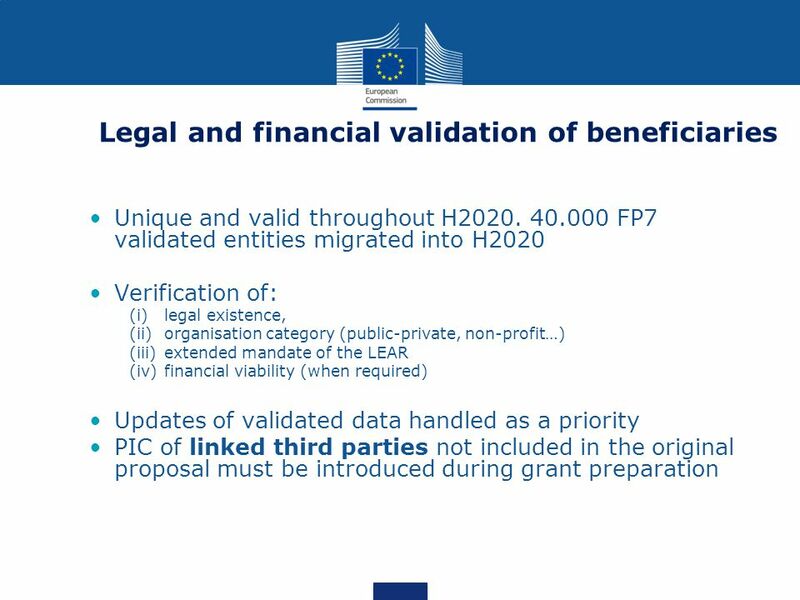 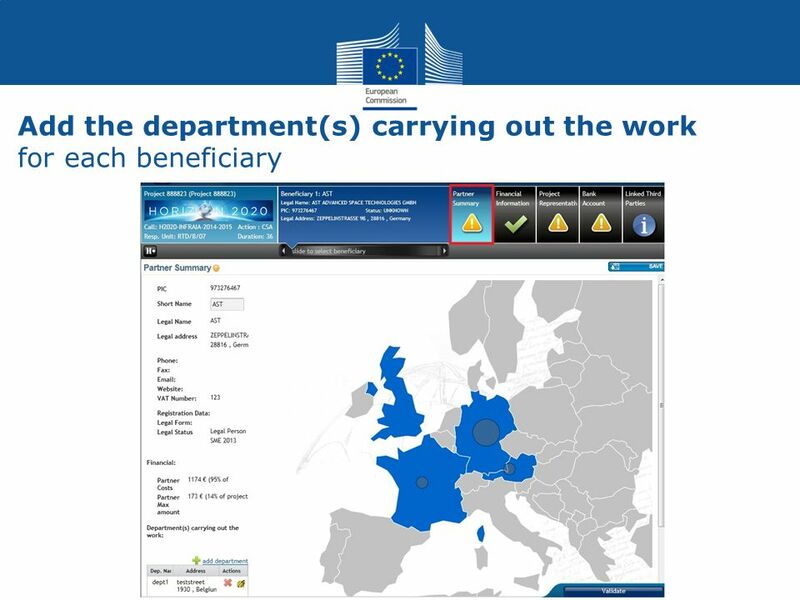 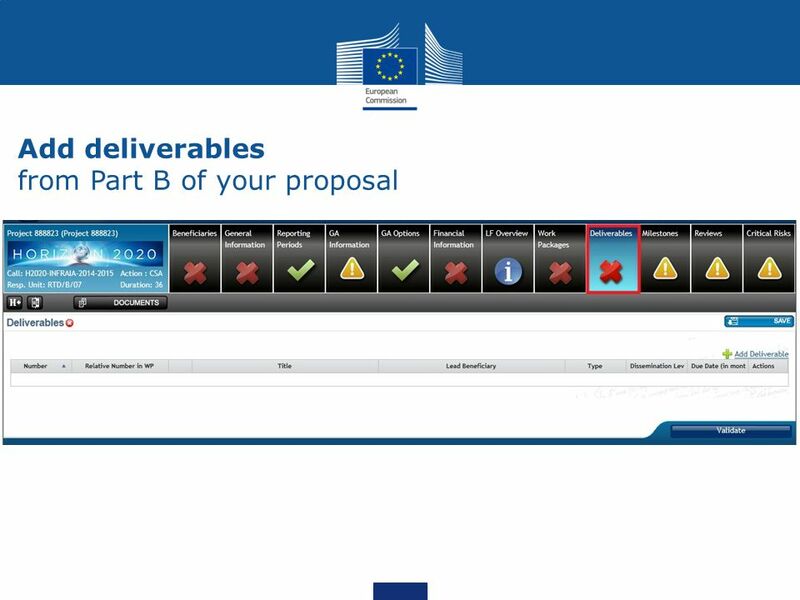 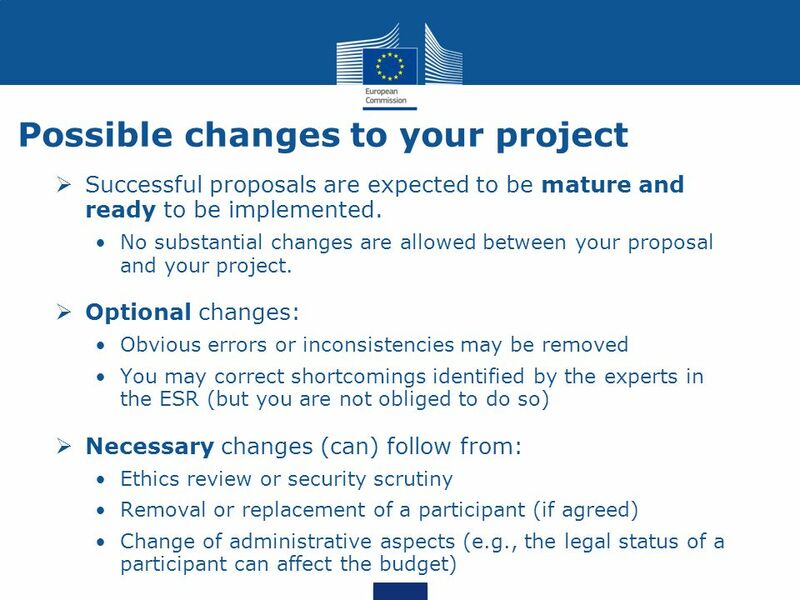 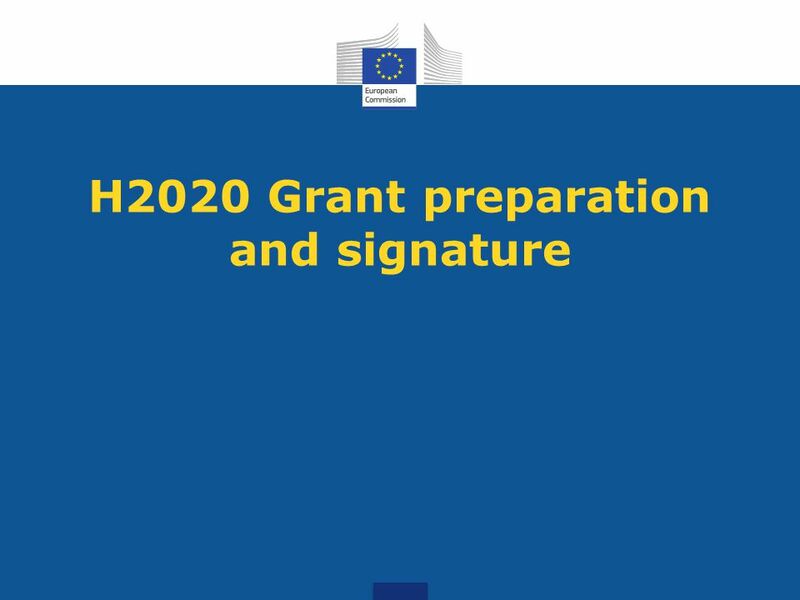 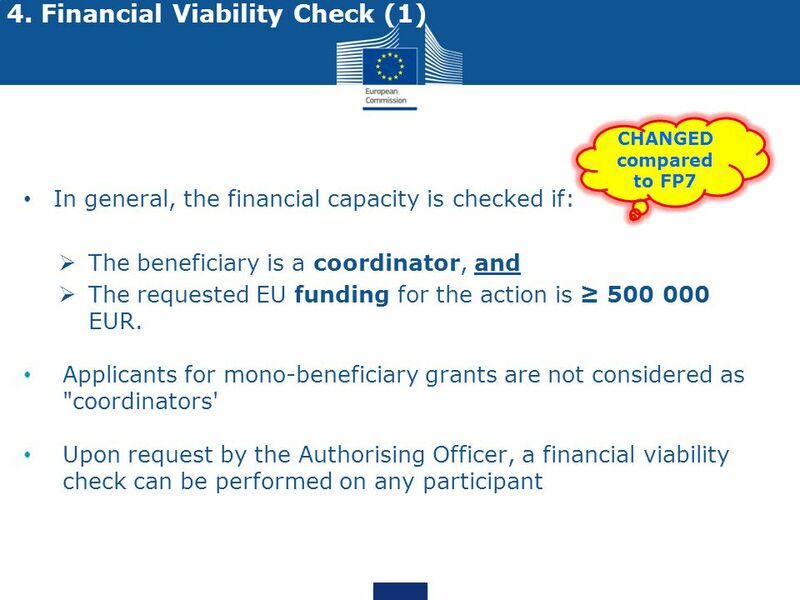 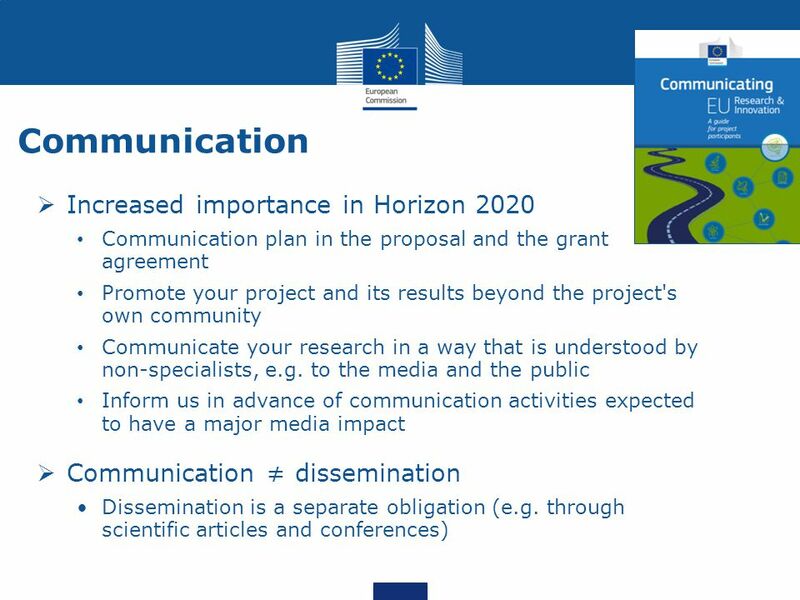 Download ppt "H2020 Grant preparation and signature"
FP7 & CIP New ways of interacting 23/06/ Ways of interacting - Topics Part 1 :The Research Participant Portal (PP) –Roles and Access Management. 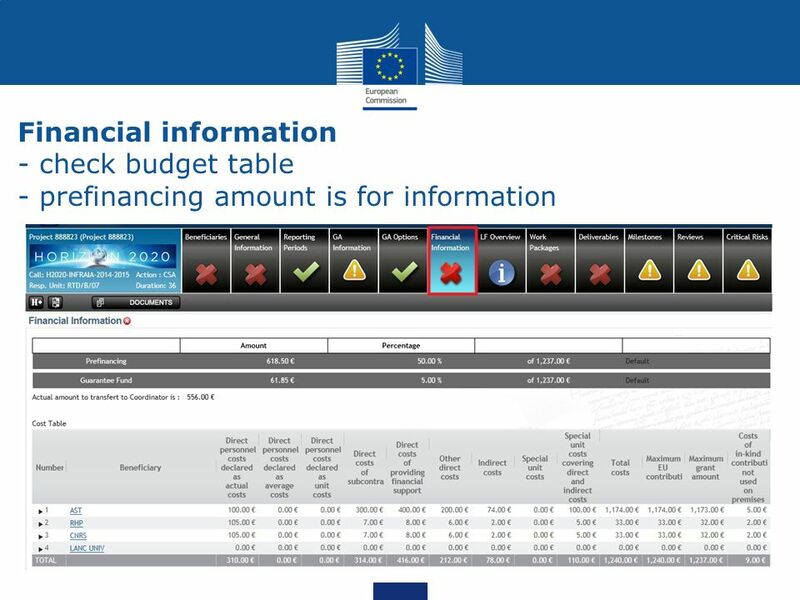 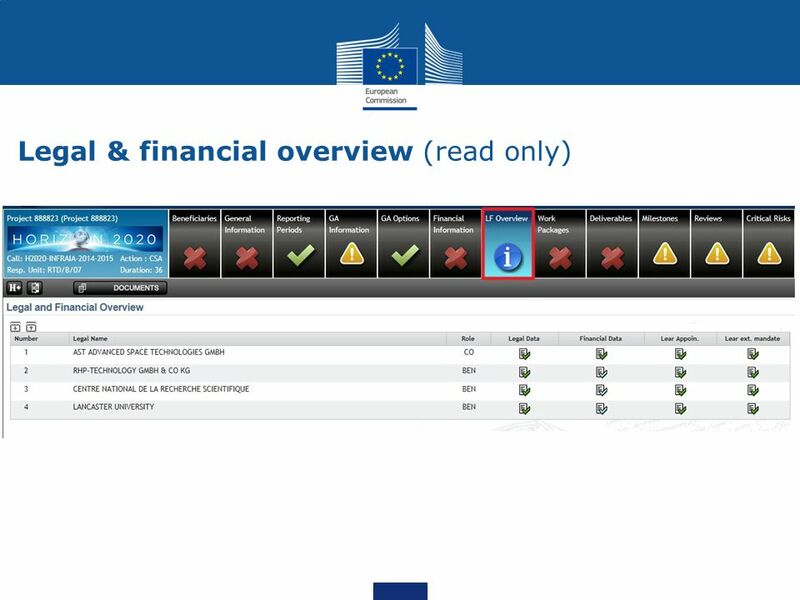 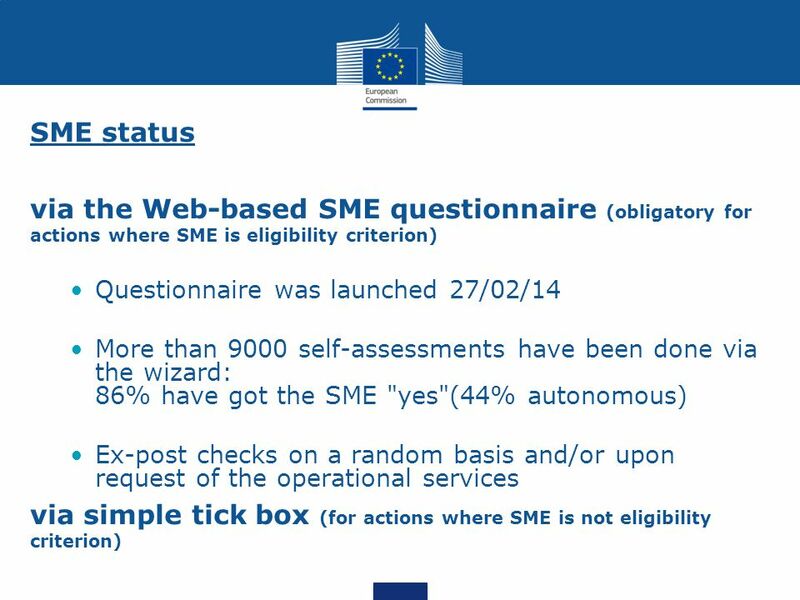 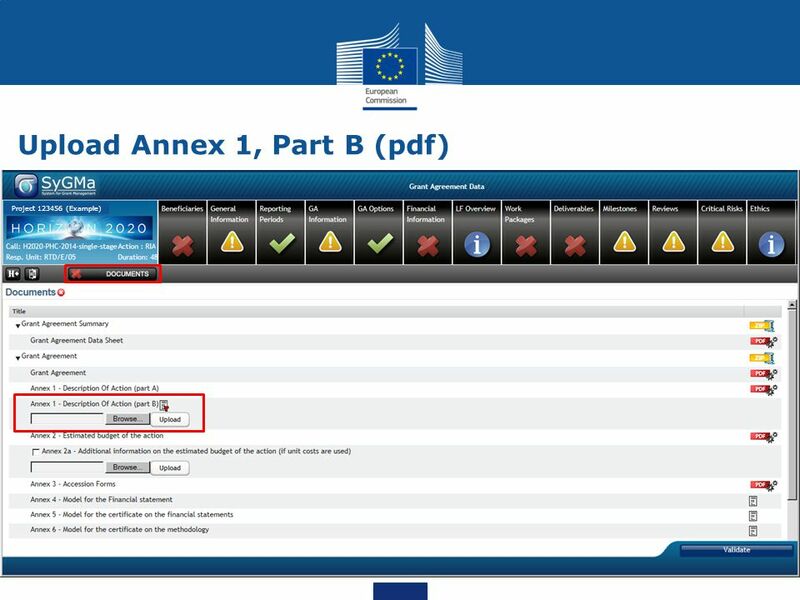 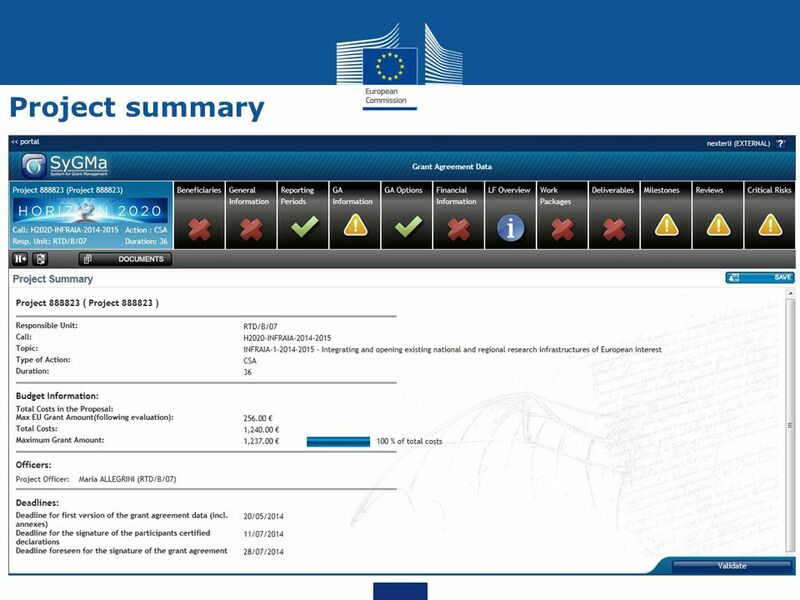 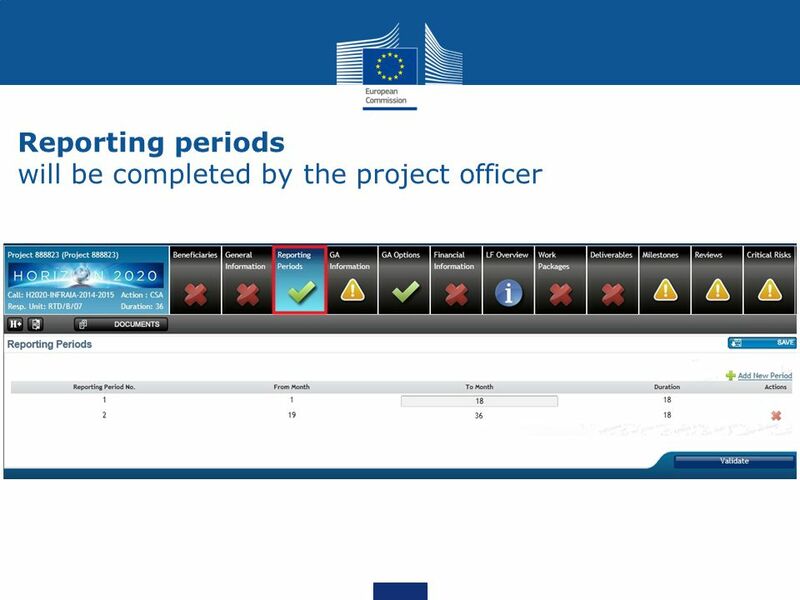 Electronic-only submission of FP7 financial statements (forms C) NEXT. 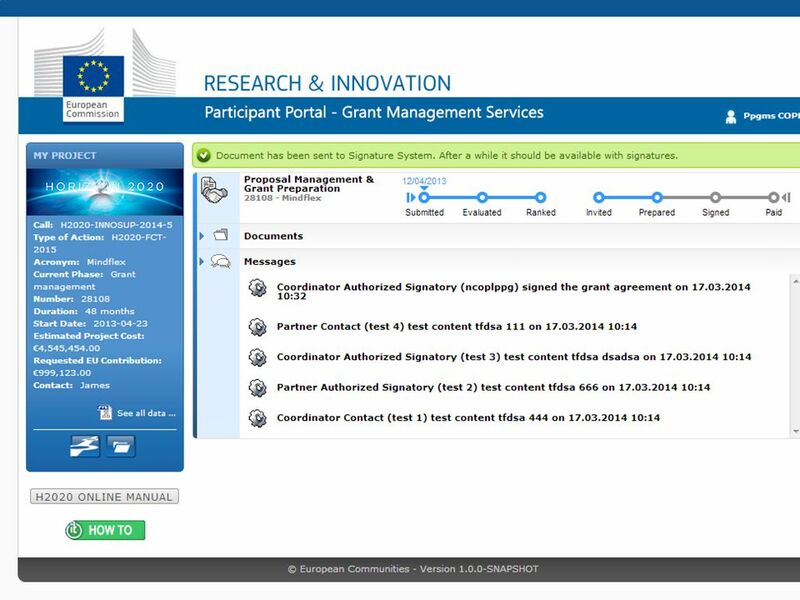 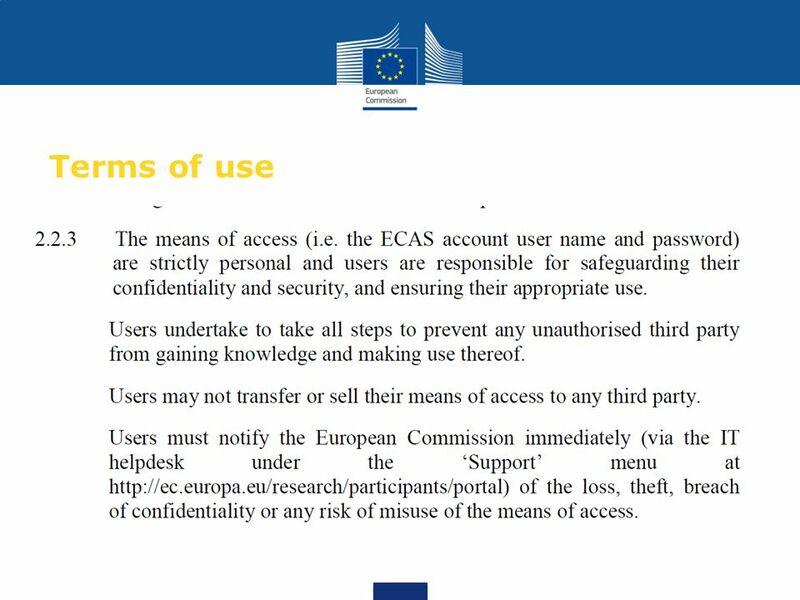 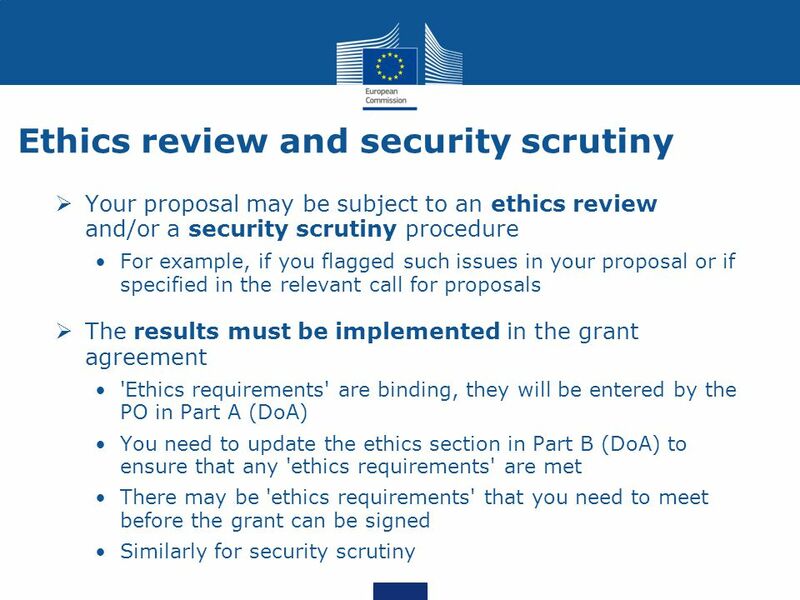 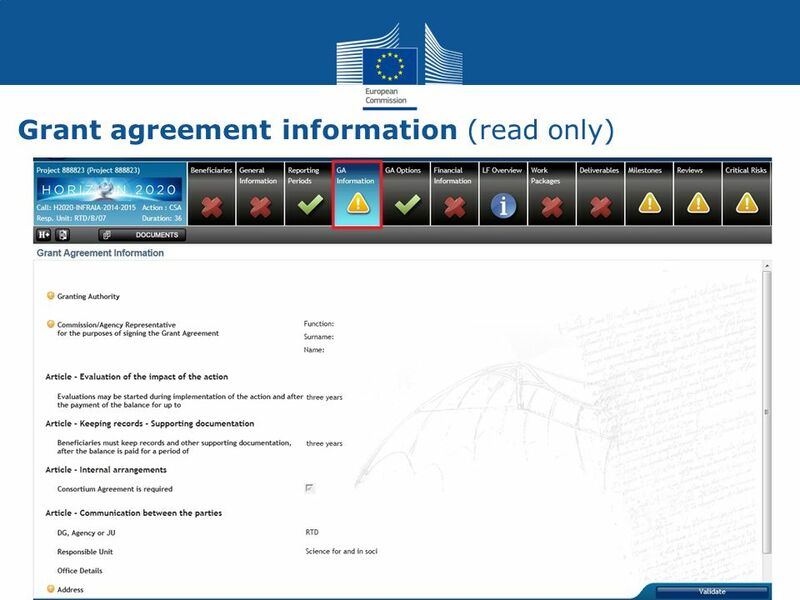 How to apply for Erasmus+ Technical guidelines Authentication, Registration and Submission 1. 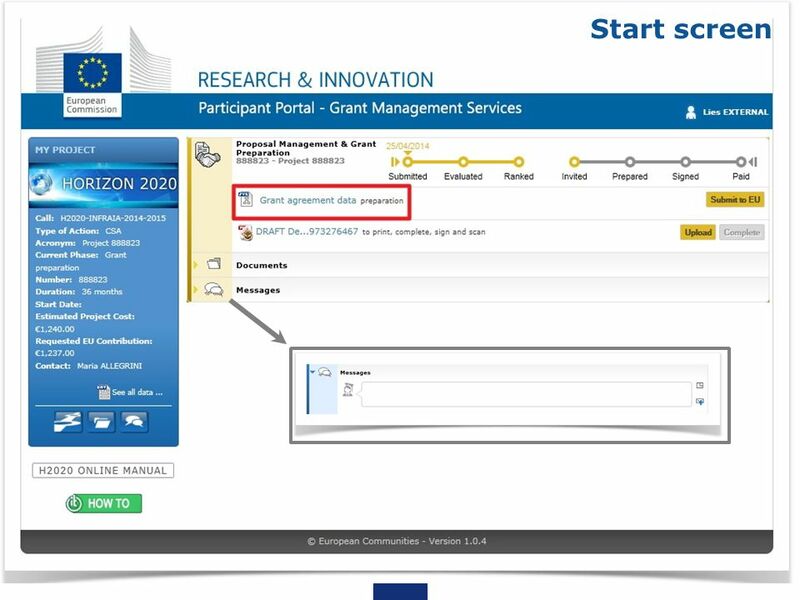 HOW TO USE THE SYSTEM Specialty Crop Block Grant Program Online System. 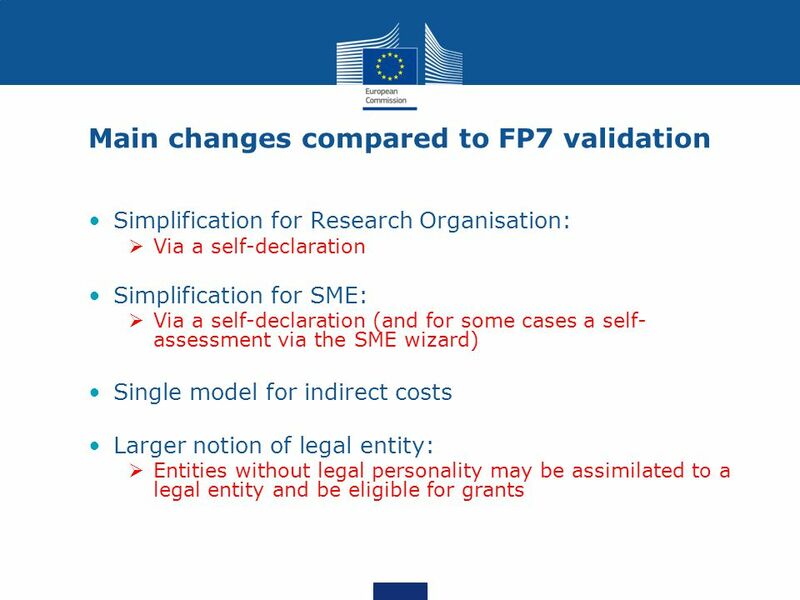 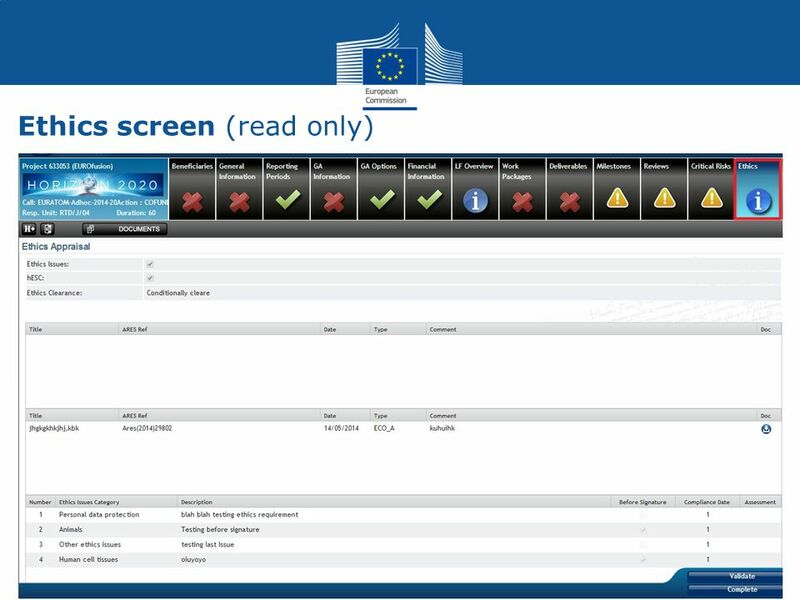 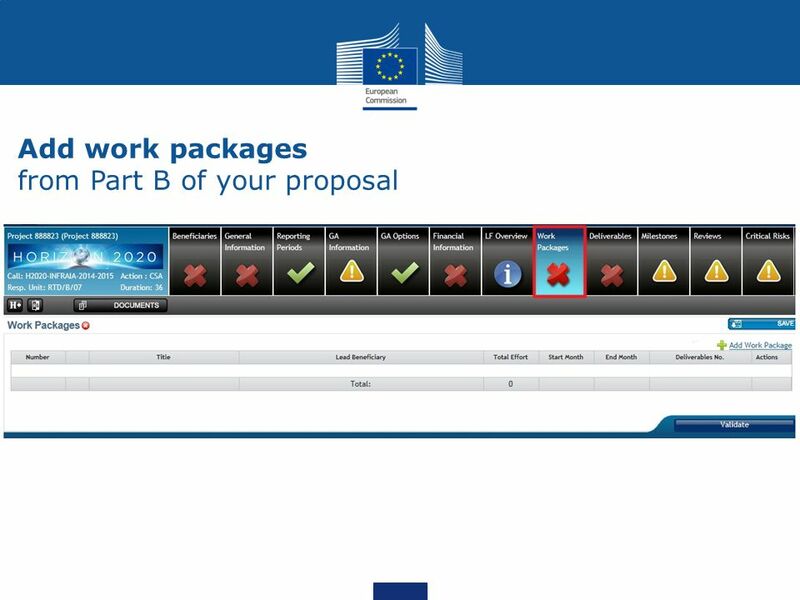 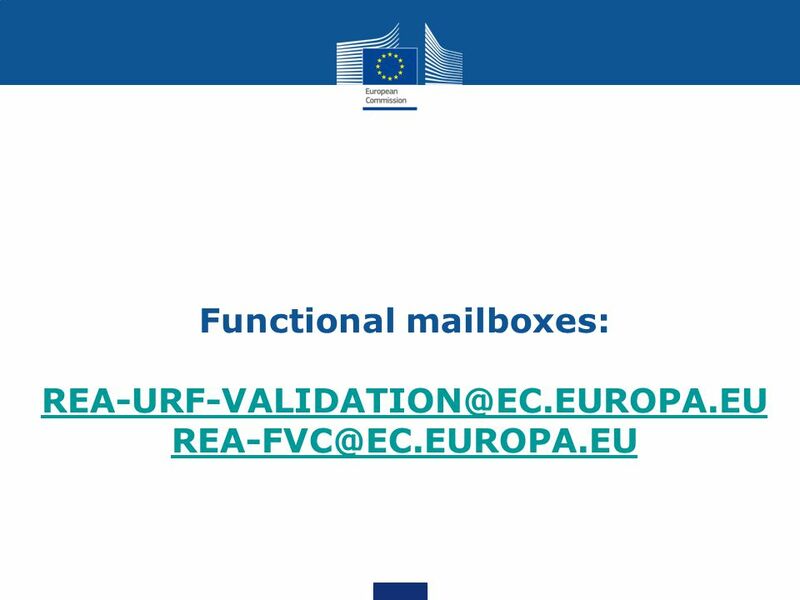 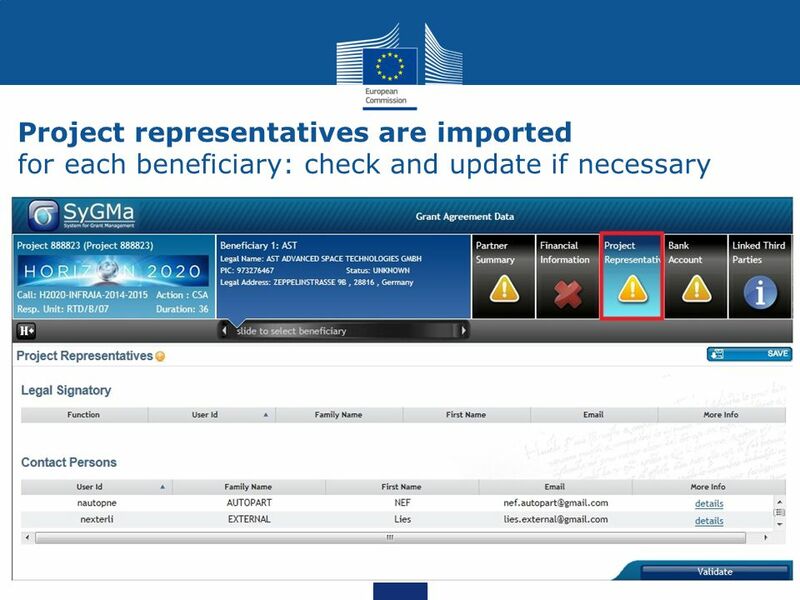 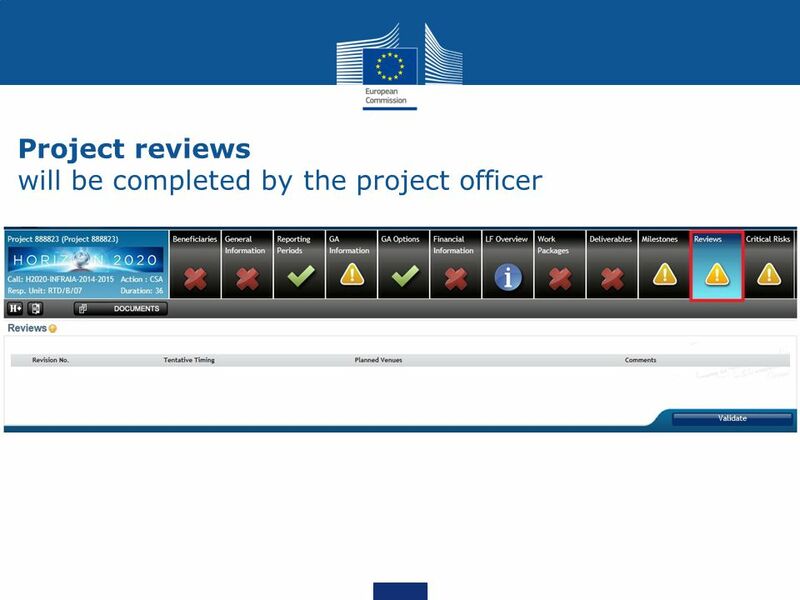 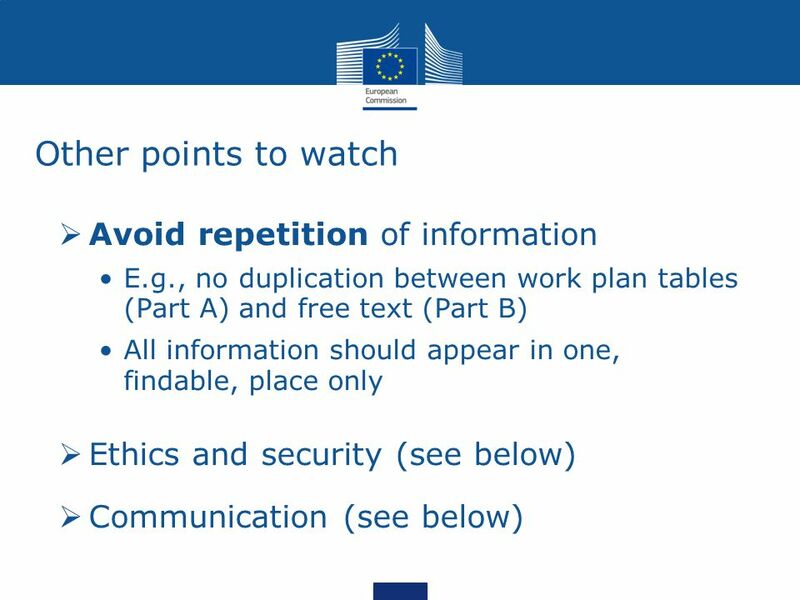 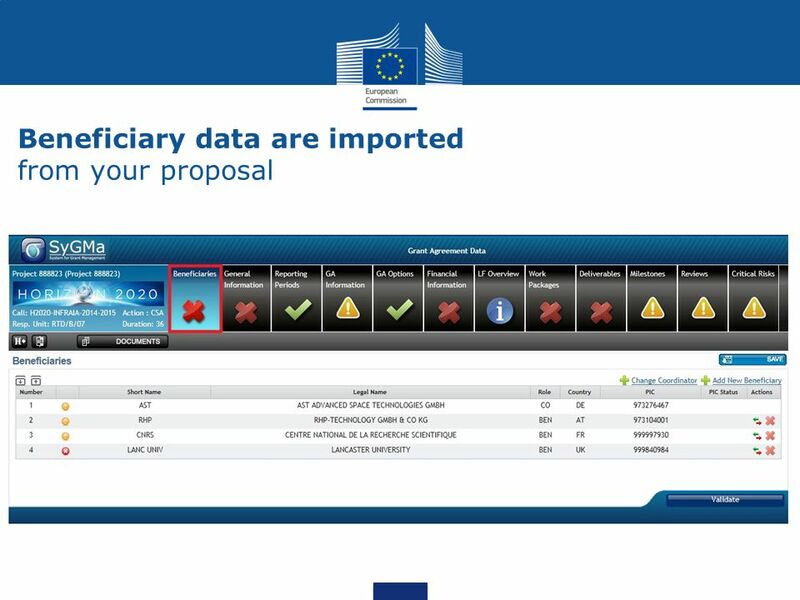 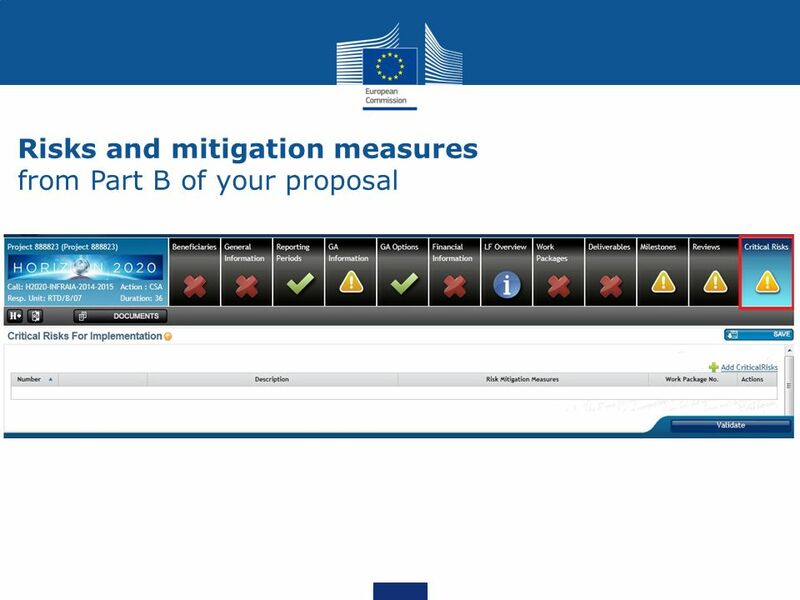 Electronic-only submission of FP7 forms C Peter HÄRTWICH eFP7 Communication Office RTD M2. 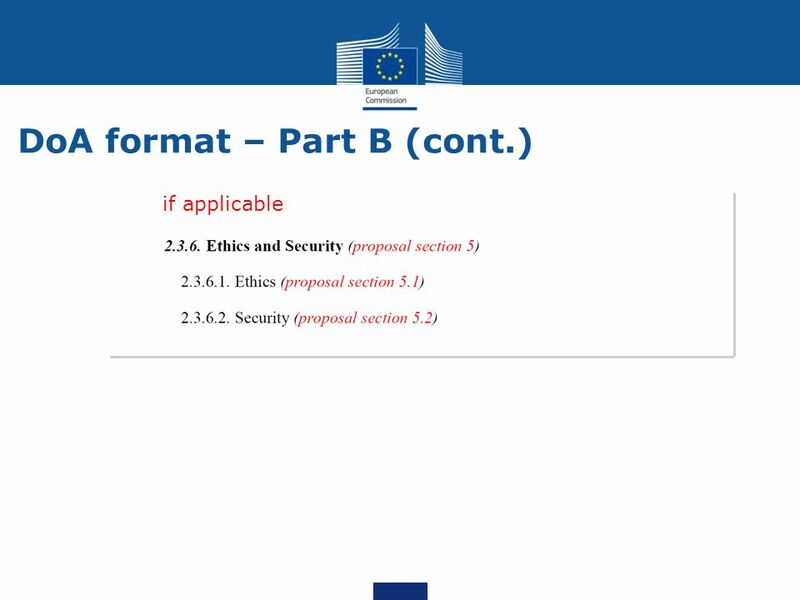 Contract Negotiations in FP7 The basics Koos de Korte, Agentschap NL, March 2010.